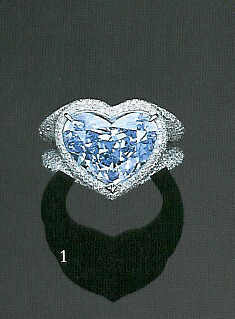 Photo #1: A ring containing a heart-shaped Fancy Blue diamond weighing 6.69 carats, sold for $328,000. 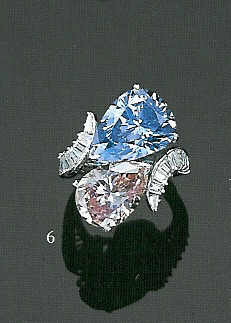 Photo #7: A ring containing a pair of matching Fancy Blue diamonds, $684,500. 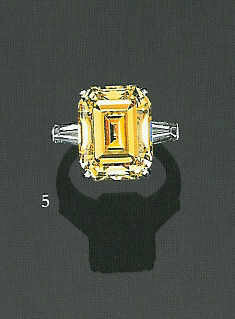 Photo #5: A ring containing an emerald cut Fancy Vivid Yellow diamond weighing 13.98 carats, $893,500. Photo #4: An oval-cut Fancy Vivid Yellowish-Green diamond of 1.75 carats, small and enlarged view, $316,500. 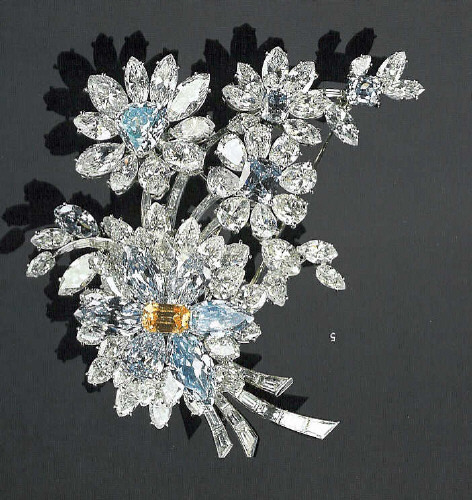 A diamond flower brooch containing numerous blue and white diamonds, plus one yellow, in a number of shapes: Marquise, emerald, pear, baguette and radiant. The piece was created by Bulgari and sold for $1,182,000 on May 28th, 1998, a record price for a piece of jewelry sold in Italy, also auctioned at Christie's. 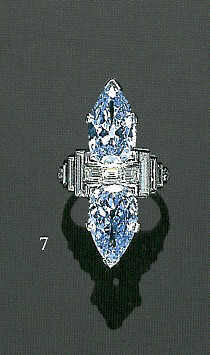 Source: The Diamond Ring Buying Guide by Renée Newman, G.G. 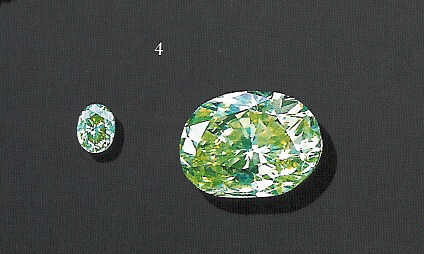 The above chart is from pages 122 and 123 of Collecting & Classifying Colored Diamonds by Stephen C. Hofer, Jewelry International (December/January 1992/1993), and Christie's auction house, Sotheby's auction house, and The Auction Market Resource by Grail Levine.